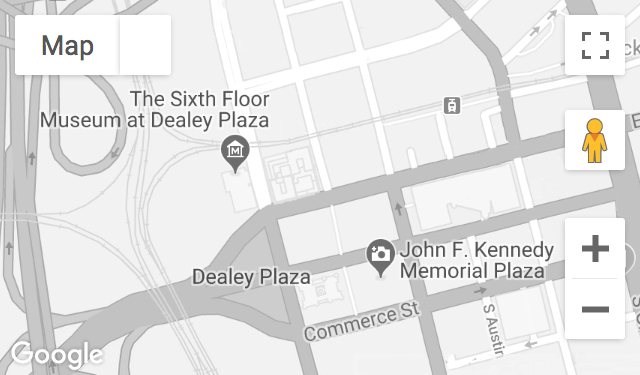 Dealey Plaza is a significant part of Dallas history. The site marks the birthplace of Dallas, originally founded by John Neely Bryan in the 1840s. Almost a century later, as part of President Franklin Roosevelt’s Works Progress Administration, the familiar white concrete colonnades and triple underpass were constructed, creating a vehicular park to serve as gateway to the city. The project was spearheaded by civic leader George Bannerman Dealey. After G.B. Dealey died in 1946, a bronze statue to honor him was installed in the park that already bore his name. 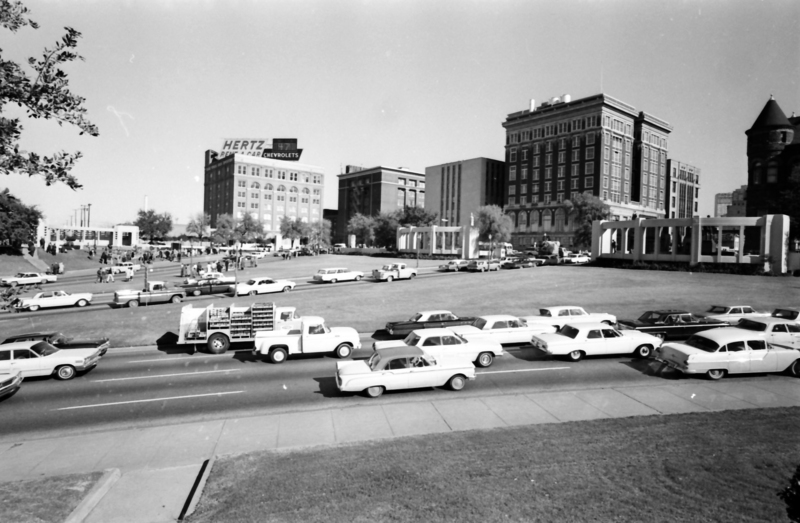 Hailed as “The Front Door of Dallas,” Dealey Plaza served as the major gateway to the city from the west and, equally important, as a symbol of civic pride. In November 1963, that focus changed when President Kennedy was assassinated in the heart of the plaza. Instantly, the cradle of Dallas history became known as an internationally recognized murder site. 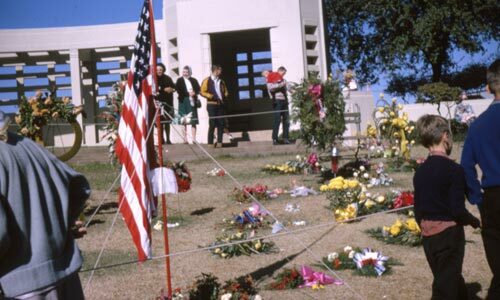 Grief-stricken citizens began to bring flowers and mementos to Dealey Plaza within hours of the assassination. These were the first acts in the transformation of the area into an unofficial memorial site to honor the slain president. 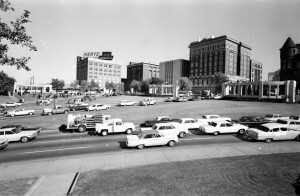 Three decades after the Kennedy assassination, in October 1993, the Secretary of the Interior designated Dealey Plaza a National Historic Landmark District. 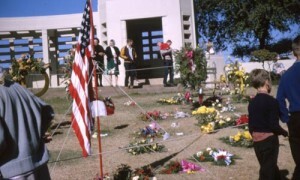 This new historic status acknowledged that the spot where John F. Kennedy died was significant in United States history. 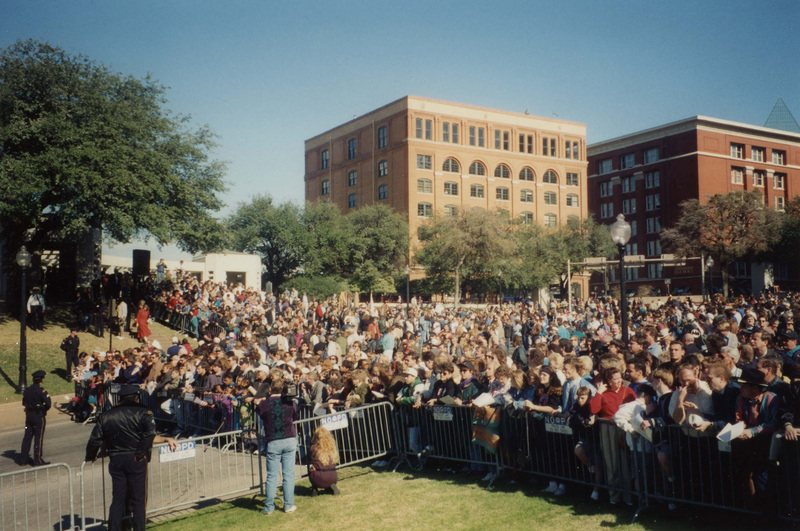 Beginning with civil rights and Vietnam War demonstrations in the late 1960s, Dealey Plaza has served as a site of social activism and protests, which continues to the present day. The words and image of the slain president, often used to fuel these community dialogues, prompt many individuals to find in Dealey Plaza a powerfully emotional link to the unfulfilled promise and legacy of the Kennedy era. 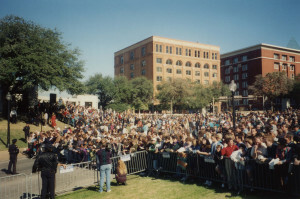 Each year on the anniversary of the assassination, hundreds gather in Dealey Plaza to pay their respects to President Kennedy.